This maybe one of the strangest and unconventional releases of the year. 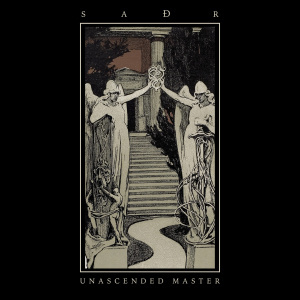 I only say that since Saðr (Sathr) is borderline heavy metal with more devotion to experimental electronic and avant garde music. If it were not for the tortured cries fo what sounds like wood ghouls deep within an overgrown forest, I would reconsider Unascended Master‘s place on a metal blog. While the album lacks any heavy distortion, the looming death makes up for any absence of traditional sound. For the most part, Unascended Master is based in tribal rhythms. Whether synthesized like in “Ascendent” or more organic in the final track, “A Coppice,” circular rhythms are the crux of the record. This repetition allows for accents and flair to be laid on top. Some of this flair includes distant shrieks as well as even deeper choral chants. Throughout the record, there is a persistent dedication on creation. 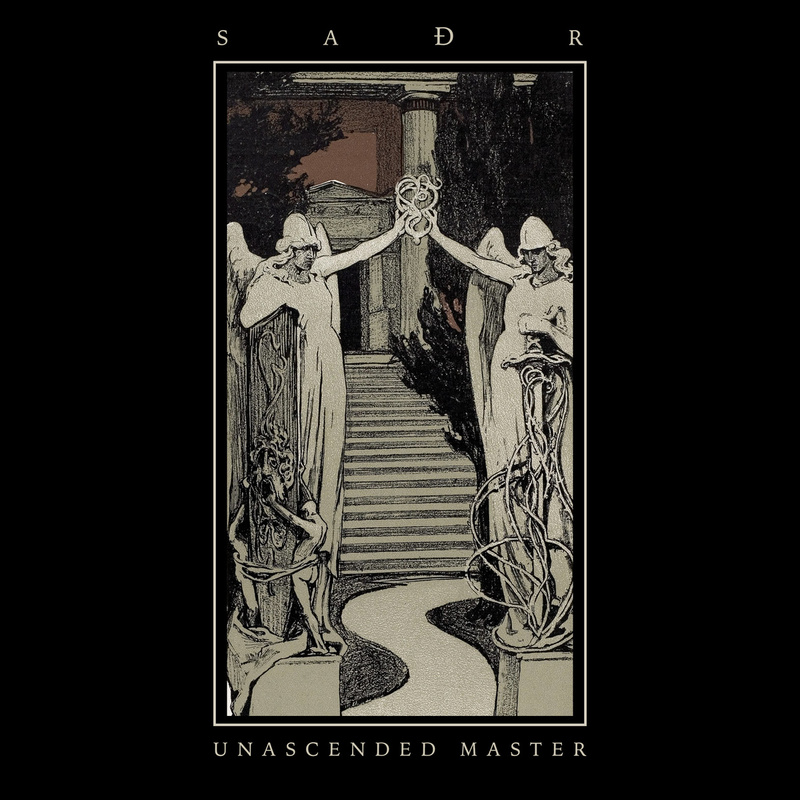 whether of not celebration or catharsis the sounds on Unascended Master are there for a reason. Whetehr or not these motives will be entirely clear is another story. Saðr is interesting because of the personal nature of the recordings. There seems to be little care for commercial accessibility or desire to be anything else beyond this entity. Aside from the Bandcamp page, there is really no existence of this project. This makes Unascended Master more akin to a furious writing scribbled across a hidden journal or scrap of paper. The fact that things like this exist elsewhere with or without the knowledge of the greater public is fascinating. Stumbling on Saðr is like finding a mysterious sculpture int he woods — one specifically will be destroyed come next rainfall.